We take great pride in offering our customers an unbeatable combination of excellent customer service and high quality workmanship. At Tuke Heating we are a long-established family firm with many years of experience in providing central heating and plumbing service throughout Yorkshire. By choosing Tuke Heating you’ll be able to relax in the knowledge that the heating engineer who is repairing or servicing your boiler will carry out the work with respect, integrity and diligence. 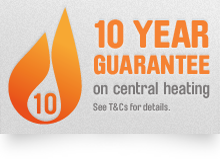 We offer a wide range of heating services, from boiler and central heating installations, through to plumbing services. We have a team of skilled, qualified heating engineers who operate in Manningham and surrounding areas and our reputation for the high standard of our customer service is a result of our many years of experience in providing plumbing and heating services. We are a specialist company providing central heating and boiler installations throughout the Manningham, and thanks to our wide-ranging experience, we have an in-depth knowledge of the heating industry. We know that investing in a new boiler or central heating can be daunting and expensive, so we ensure that our advice is clear, easy to understand and unbiased. As energy bills continue to rise, saving money on fuel bills is becoming increasingly important for our customers. This is why we’ll spend time helping you find an efficient boiler or heating system and thanks to our range of bespoke boiler and heating packages, we’re confident that we can help you make significant savings on your annual gas bill. An annual boiler service is essential, even for new boilers. Boiler servicing is essential because it is the only way to confirm that your boiler is running safely through checks for potentially fatal emissions of carbon monoxide. A boiler service is also a great way to ensure that your boiler is operating at it maximum efficiency, making it more efficient and therefore more economical to run. Even if your boiler is brand new, an boiler service is usually required to validate the manufacturer’s warranty. We all lead busy lives and this is why our boiler service appointments are available at a time to suit you. Our team of heating engineers operate in Manningham and we offer a range of flexible appointment times. If your boiler breaks down you need to be able on a reliable heating company to get it back in working order again as quickly as possible. Here at Tuke Heating our heating engineers operate in Manningham seven days a week, 24 hours a day and if you need an emergency boiler repair, we can repair the majority of boilers – usually on the first visit. Nothing beats the peace of mind that comes with finding a plumbing company you can rely on and if you are looking for a qualified, professional heating engineer in Manningham, why not get in touch with Tuke Heating? We’re happy to give a free, no-obligation quote or impartial advice on everything from a leaking tap through to the installation of a heating system.